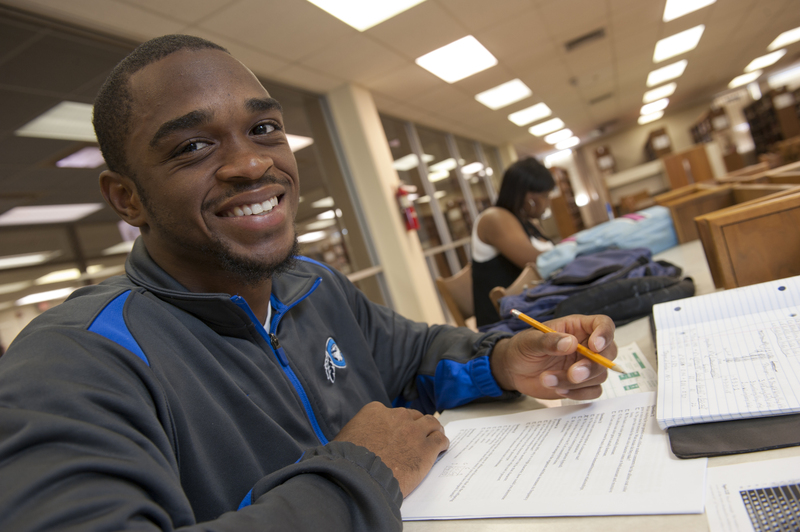 Whitaker Library offers many different services to help both Students and Faculty succeed at Chowan University. Students are able to check out books and other library resources at the front desk. Items are loaned for 4 weeks. If you need to use them for a longer period of time, you may renew your books. 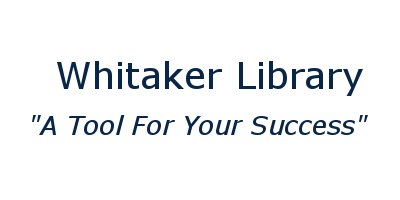 Whitaker library offers two types of research assistance non-scheduled assistance and a scheduled in-depth research consultation. Walk-in assistance is available in-person, via email, phone, text, and Facebook Messenger. 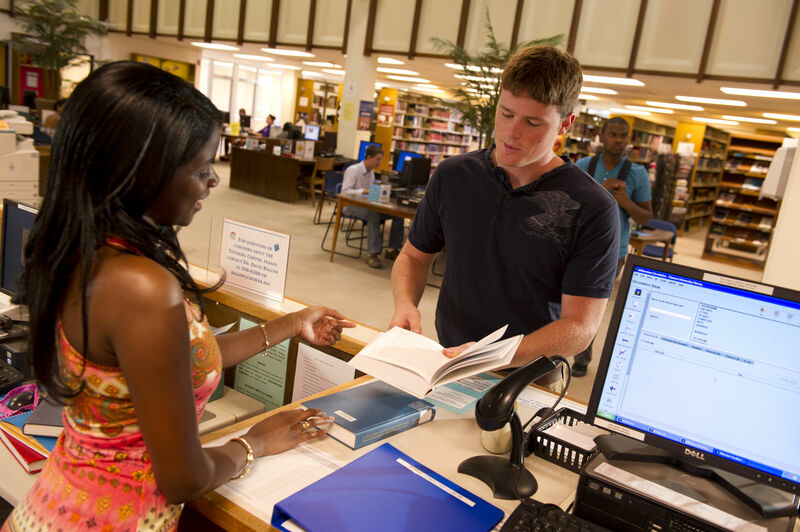 If you would like to schedule an in-depth research consultation, email library@chowan.edu. Scheduled consultations can be delivered either in-person or through Google Hangouts. 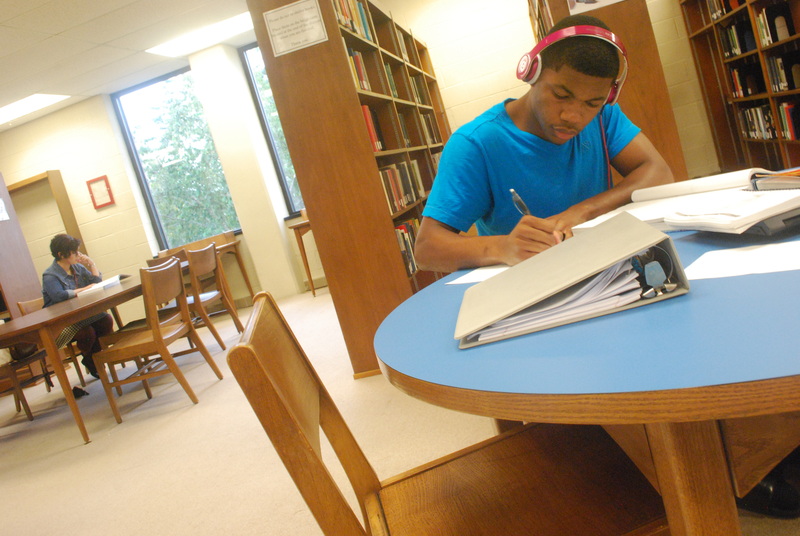 Whitaker Library provides a quiet space where students can work on assignments and study for tests. The basement level is the quiet floor for individual study. The main floor is for 1-2 people to work in soft voices. The top level is for groups to work in normal speaking voices. Find your level based on the tasks you need to accomplish. 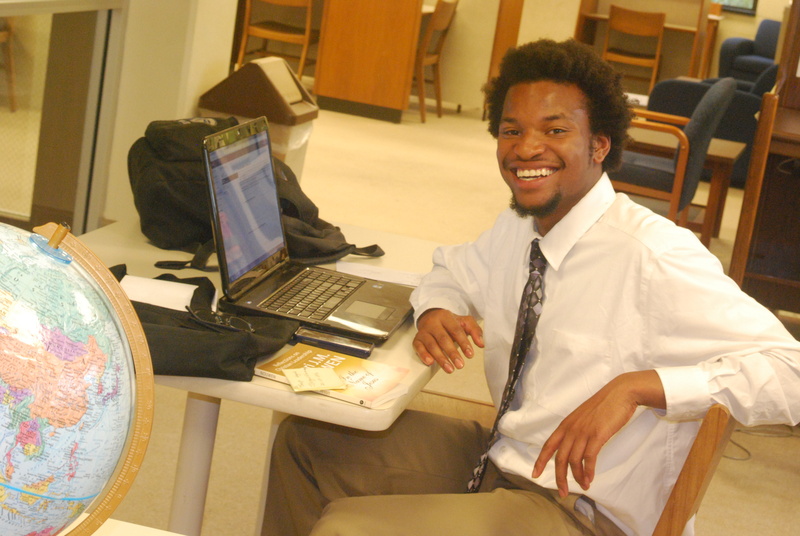 In addition to classroom instruction, Whitaker Library offers enrichment workshops to students. 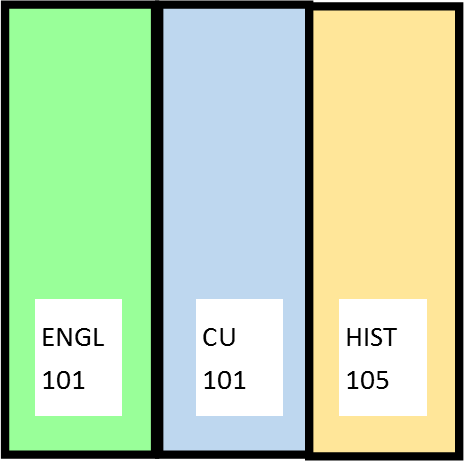 Workshop topics and dates are announced through campus email and other tools the school uses to communicate with the campus. 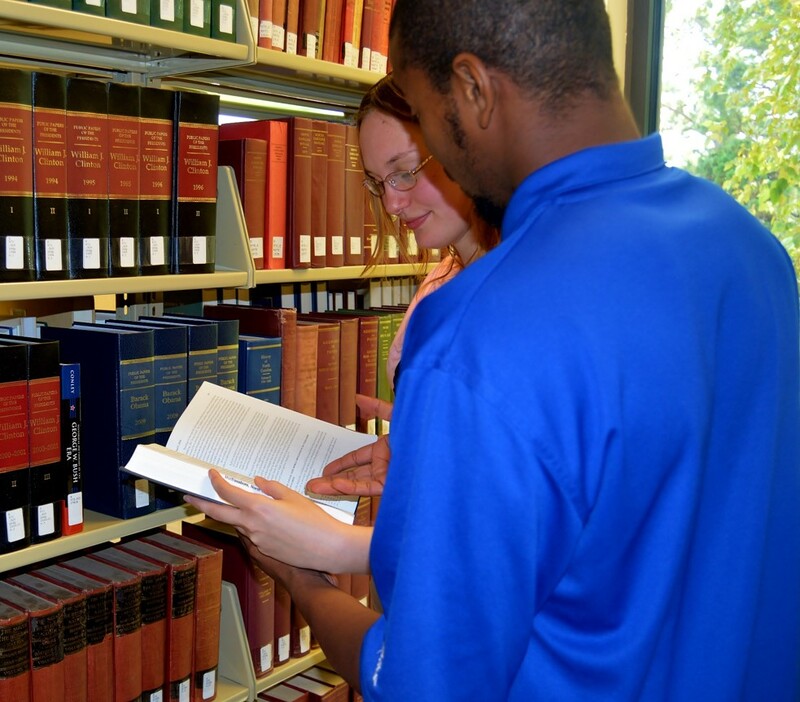 If you have a workshop that you would like to see the library offer to students email library@chowan.edu. 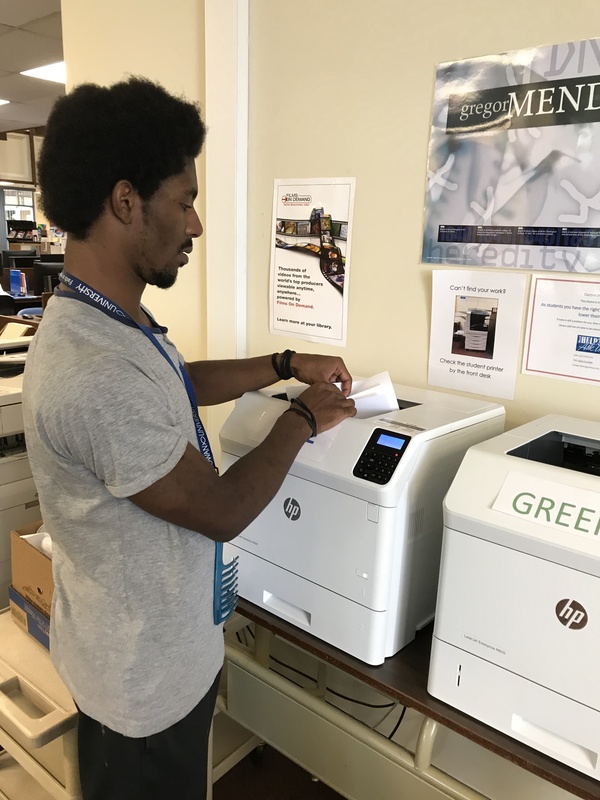 Use your campus printing money with the library printers. Color printing is also available. Scan to email is another popular tool students can use in the library. 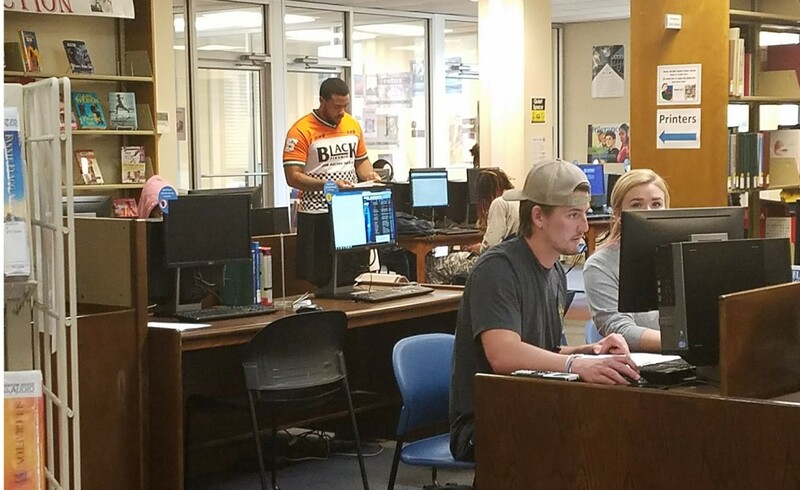 Whitaker Library offers 38 desktop computers and 30 laptops for students to use inside the library. 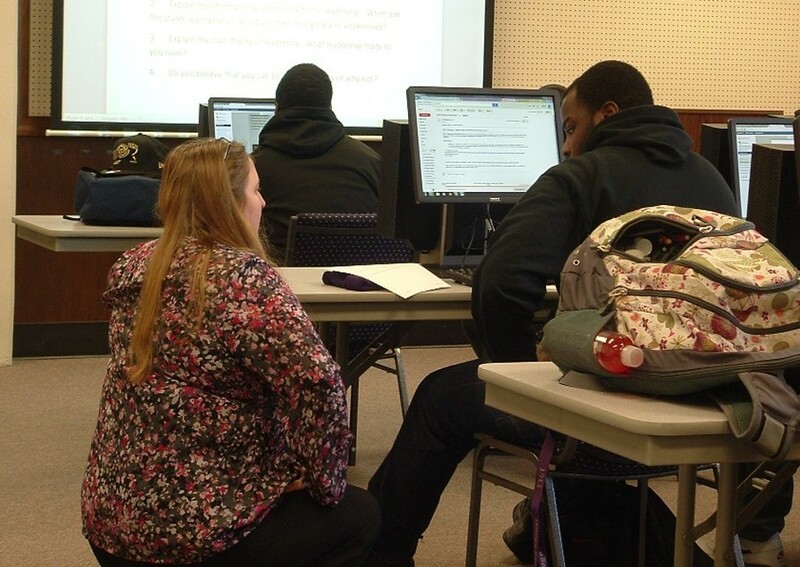 In addition, the Library Learning Lab is available most evenings for student use. If we do not own the material, you are looking for, we will borrow it from another library. This service is free for the Chowan University Community. Please allow 1-2 weeks for delivery. To create an Interlibrary Loan request, click on the "Request an Interlibrary Loan" button in the library's catalog. 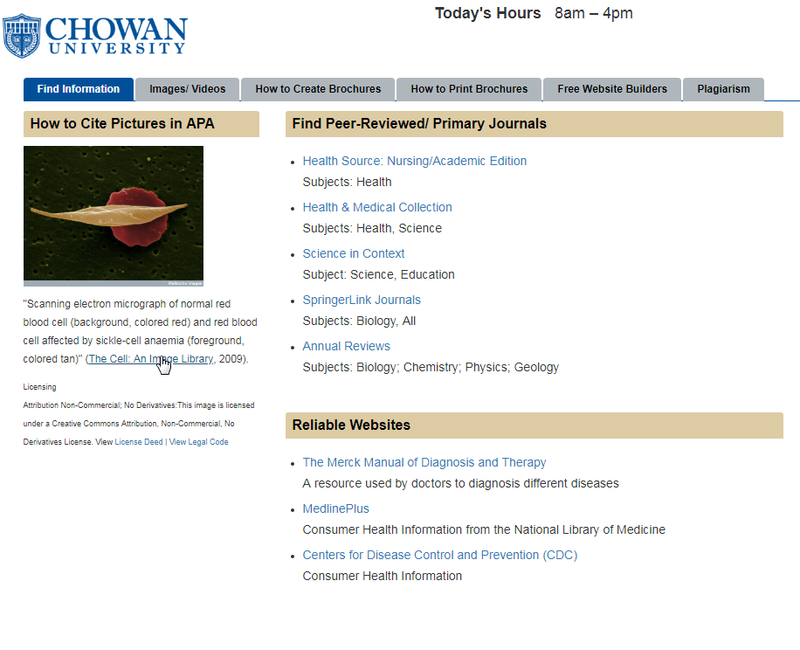 Here are screenshots that show you how to create an interlibrary loan request. In addition to the library services available to all students, Honor College Students can check out library material for an entire semester. Did your teacher tell you that they put a book on reserve in the library? Go to the front desk to request this book. Course reserves are usually available for 2-hour checkout and need to stay in the library. In addition to the library services available to all students, Adult Degree Completion students can request resources to be sent to the Halifax campus. 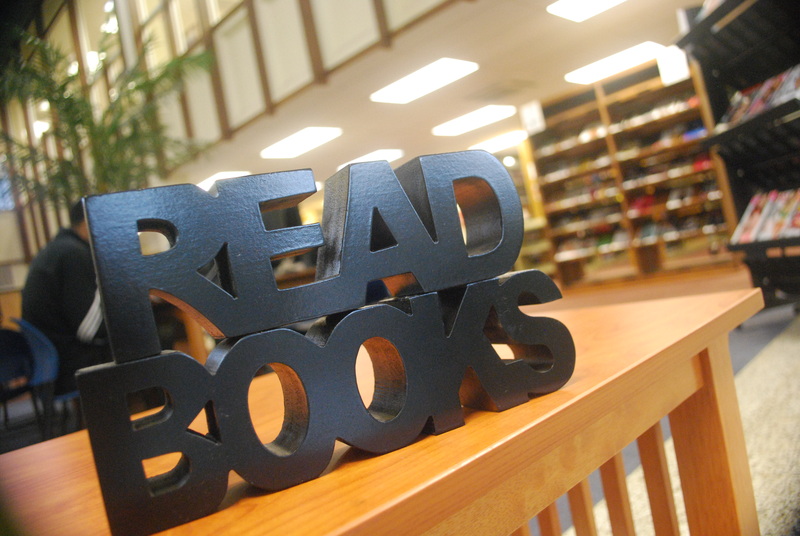 Use this link to submit orders to the library or e-mail William Metcalfe at metcaw@chowan.edu. Please allow 1-3 months for items to arrive after placing your order. Choice Reviews Online and Resources for College Libraries are scholarly book review databases that help you discover new books that have been published in your discipline. To request library instruction e-mail Sarah Bonner at bonnes@chowan.edu. Please allow 1-2 weeks to develop a session specifically designed for your class. 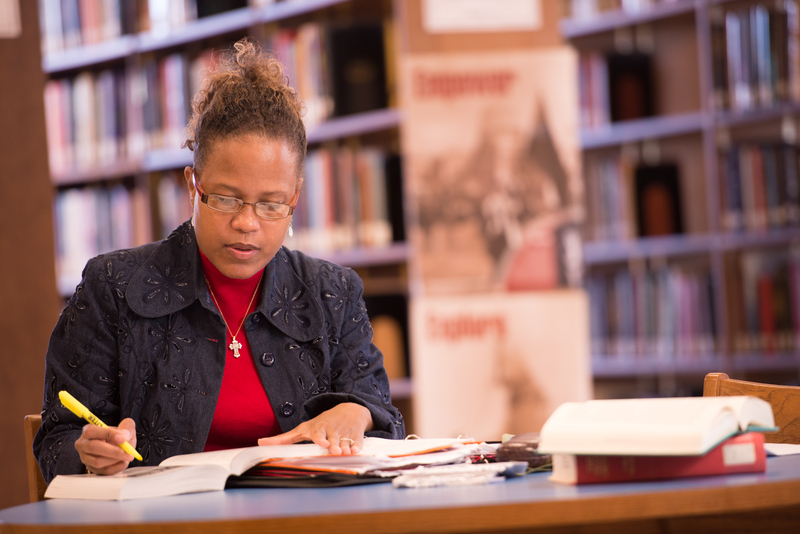 Each department has a faculty member who works closely with the library staff. Please contact your Chair to determine the Library Liaison for your department. You can request a library research guide to be created for your class. (View a Course Guide)This guide can be linked in Blackboard, allowing your students to easily find the resources you want them to use. If you are interested in this service, email Sarah Bonner at bonnes@chowan.edu. To place an item on Course Reserve, e-mail Debbie Baugham at baughd@chowan.edu. Please allow 1 week before notifying students that the item is available in the library. 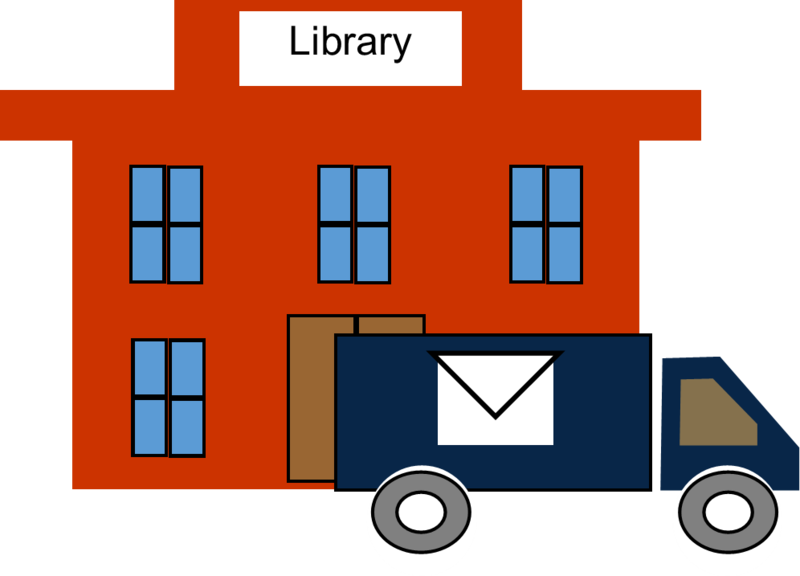 When not in use for library events, faculty and staff may reserve the upstairs Library Lab for in-class use of library resources. Reservations should be made by email to library@chowan.edu.